We are a nation of bargain hunters; from 2 for 1 pizzas to discounts off a new kitchen, or 40% off that highly desired Prada bag in the January sales, our minds are finely tuned to finding a bargain at every single level. It’s no different with wine, and the sea of promotions, and deep discounts on wine, that every supermarket throws out ( and, as an ex supermarket buyer, I count myself guilty on this also), have led the wine drinking nation to expect to be able to buy decent wine at very low prices. Sometimes this works, and there are some veritable and genuine wine deals out there; at other times, the wine is just not worth the pennies you are saving. So it pays to be a bit canny and to work out the ‘safe’ styles of wine, within your given budget. The average price paid for a bottle of wine in the UK, has only just crept above £5. 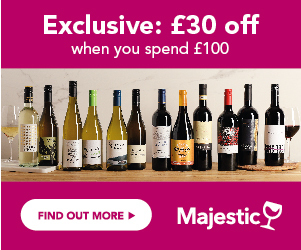 With fixed costs such as duty (now an astronomical £1.90 on a bottle of still wine), and shipping and storage (at least another 30p), plus cost of bottle and packaging, and 20% VAT, in a wine under £5, there’s not a great deal of cost left that’s actually the cost of the product, and this is being increasingly squeezed as inflation and duty rises. Pay an extra pound, and all this extra will be increased quality of the product in the bottle, as the duty, VAT and cost of bottle etc doesn’t change. Regardless of this, if you are looking for bargains, or have a set idea, on how much you are prepared to spend on a bottle of wine, here are some tips for the safest bets. Sparkling – opt for simple Prosecco, or the increasingly fresh and reliable quality of Cava. Whites – new world whites often offer better value and reliability at the inexpensive end, although beware of bland, me too brands, which are dull, and characterless. Chile and Argentina offer some of the best value, with fresh, lively whites , and South Africa also delivers great, fruity dry whites, such as reliable Chenin. Avoid cheap new Zealand Sauvignon, as it doesn’t generally deliver any fruit quality, and you are better off choosing a Chilean or South African Sauvignon at the same price if under £7. Some southern, and south-western French whites are great, and far more reliable than the more traditional areas, as is the south of Italy and Sicily. Reds – Spain is currently providing some of the best value, and most reliable reds around, at the £5 price point, as is southern Italy, and also the Languedoc in Southern France. Chile, in my opinion, offers the best value reds at the entry level. Beware of very cheap Bordeaux, Burgundy, Barolo and other great names – there are some truly awful, sharp and fruitless examples out there; and beware of some cheap Australian wines, unless you know the brand – many are characterless, ‘soupy’, and sweetened up. Sparkling – try some of the lively, fruity Australian and new Zealand sparklers. Whites – Chile and South Africa deliver some of the best value, with New Zealand and Australia also coming into play. From Europe, again experiment with new styles, and lesser known areas, as the top regions still command a premium and you could be disappointed – Rueda Verdejo, Gavi, Sicilian Fiano, French Picpoul de Pinet, are worth exploring. Reds – again Chile gets my vote for some of the most reliable wines, together with Argentine malbec, although this is a price bracket where Australia really delivers as well. South Africa is producing some high quality, great value shiraz and Cabernet single varietals and blends, which are increasingly ripe, smooth, and balanced. From Europe, my top choice would be wines from the Rhone, closely followed by some classics from Tuscany and Rioja and some new discoveries from southern Italy. But in addition to this, I must spare a word for some red wines, which I think offer some of the very best value , flavours and character in the whole of Europe, but which are still largely undiscovered in the UK – and those are the fabulously flavoursome, ripe, vibrant reds of Portugal. You can use the wine deal finder, to spot discounted wines in these price categories.